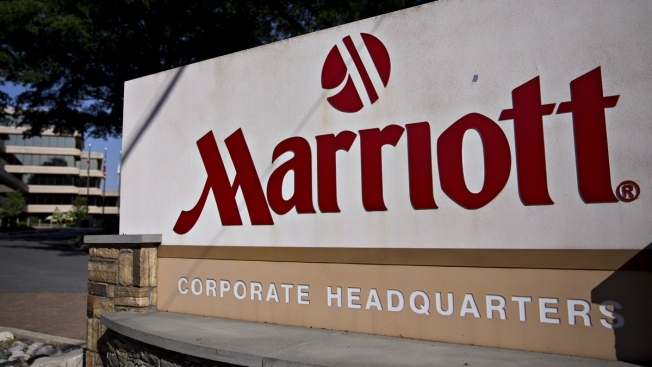 In this June 1, 2016, file photo, Marriott International Inc. signage is displayed outside the company's headquarters in Bethesda, Maryland. Marriott said it will eliminate plastic straws and drink stirrers in its hotels by next year. Marriott International plans to phase out plastic straws and drink stirrers at all of its hotels by 2019. Other big companies, like Starbucks and American Airlines, have also announced plans to nix plastic straws. The push to ban the straws gained traction after a viral video in 2015 showed rescuers removing a straw from a sea turtle's nose. Marriott International plans to remove plastic straws and drink stirrers from all of its 6,500 hotels and resorts worldwide by next year.